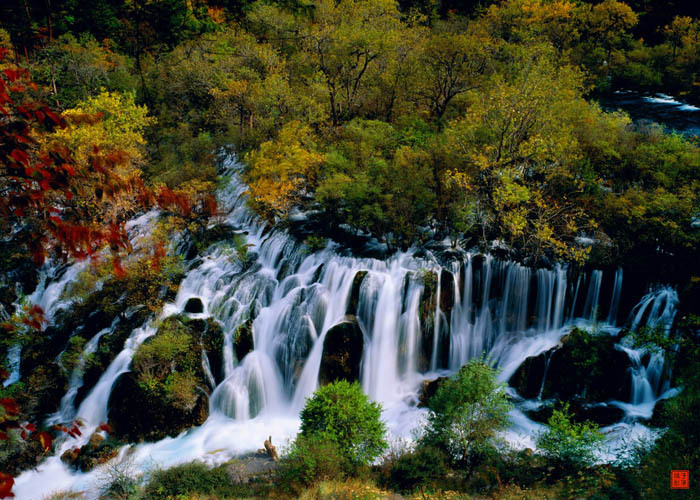 The main religion practiced by the locals is the pre-Buddhism Bon or Benbo-Sec religion. 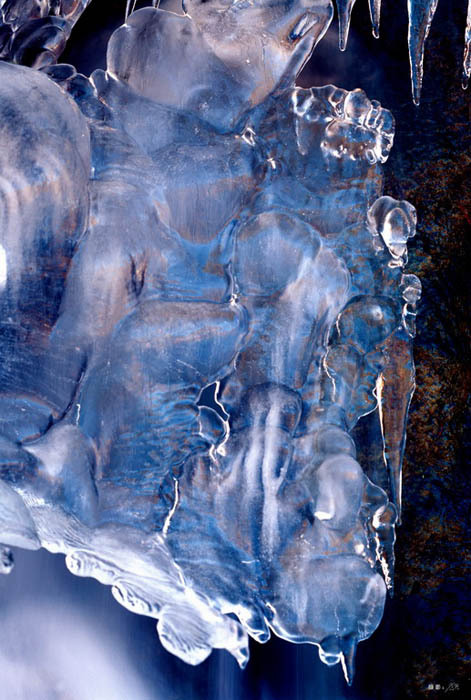 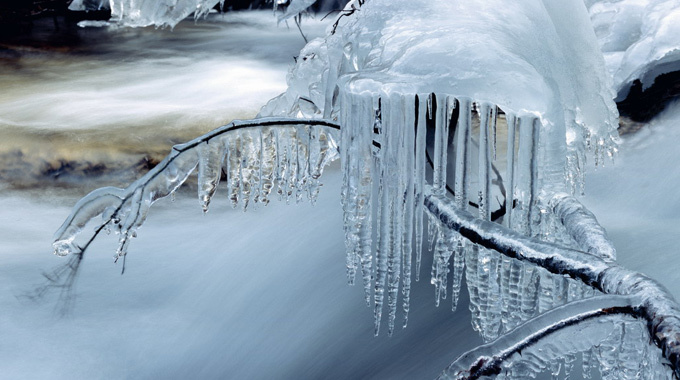 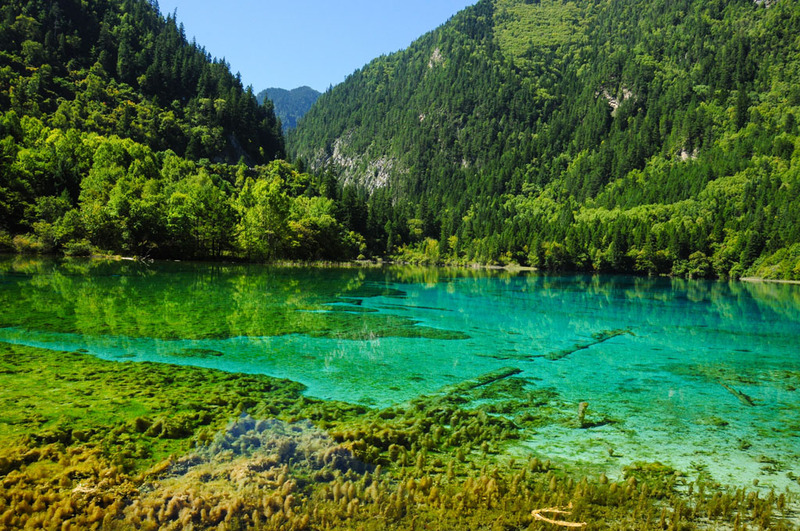 It was introduced to the Aba Prefecture in the 2nd century B.C. 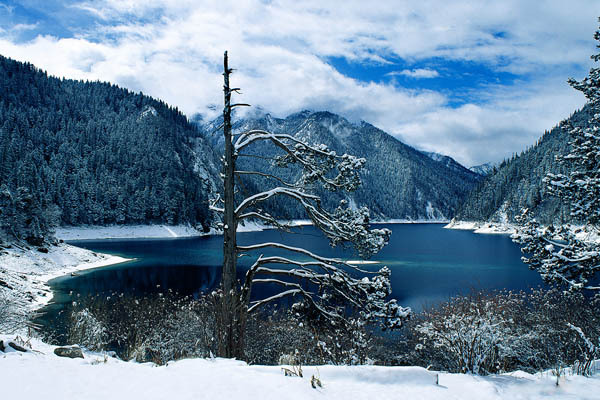 It was integrated with primitive local wizardry into the Benbo Sec and became dominant in the 6th Century. 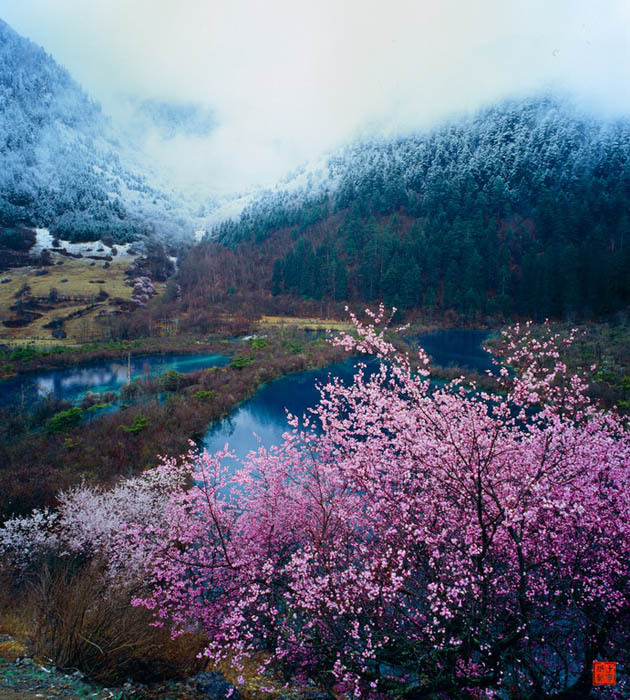 In the 7th century, Tibetan Buddhism was introduced to the region. 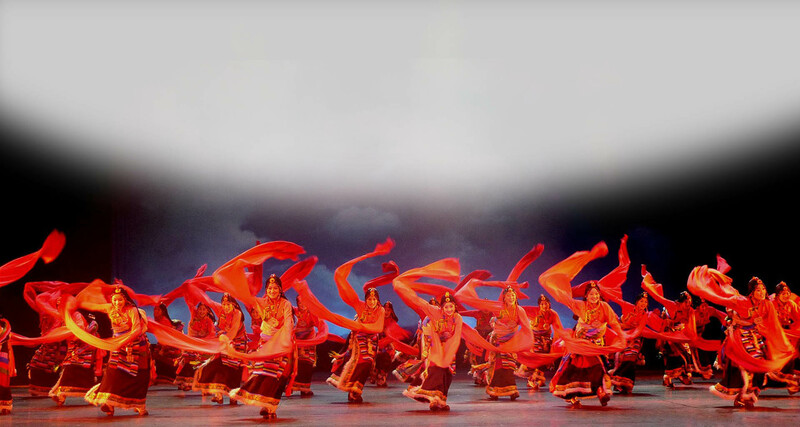 Longda can be pieces of cloth (many small pieces of cloth connected by string) or paper with scriptures written on them. 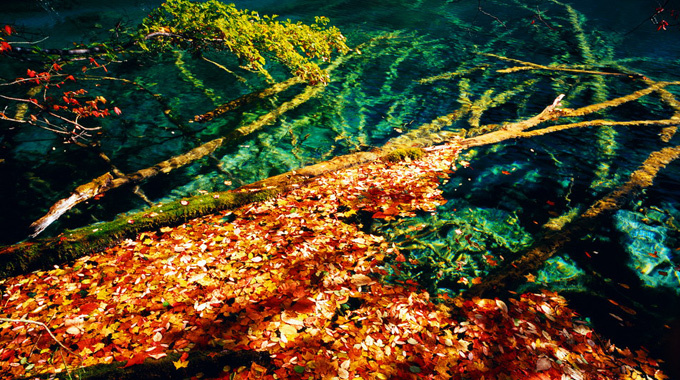 The paper longda are thrown in the air, while the cloth ones flutter in the wind or by rivers. 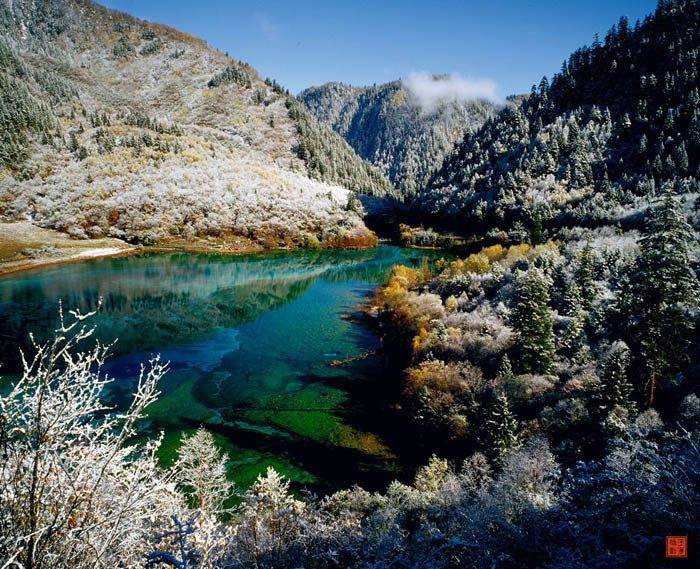 The idea of both the longda and the longer guoda is that the wind or water will set the prayers free.Prayer FlagsReligious banners or “guoda” in local Tibetan, for different purposes, vary in length from a few to dozens of metres. 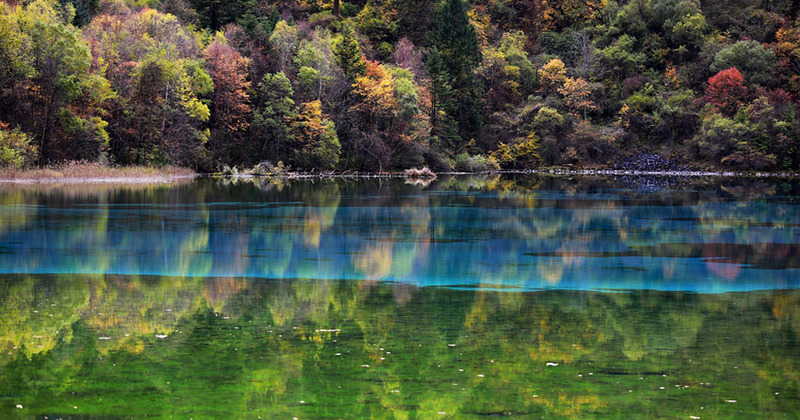 These are blue, white, red, green and yellow each representing the sky, clouds, life, the natural world (plants, trees, grass) and soil according the five element theory. 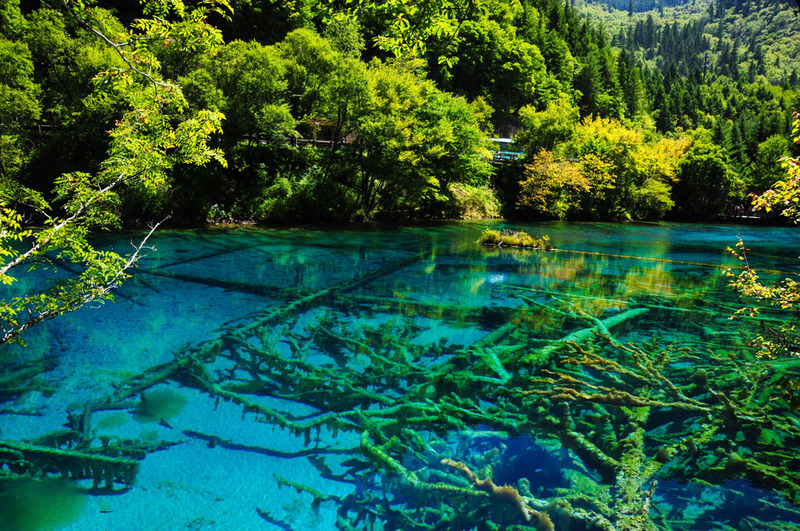 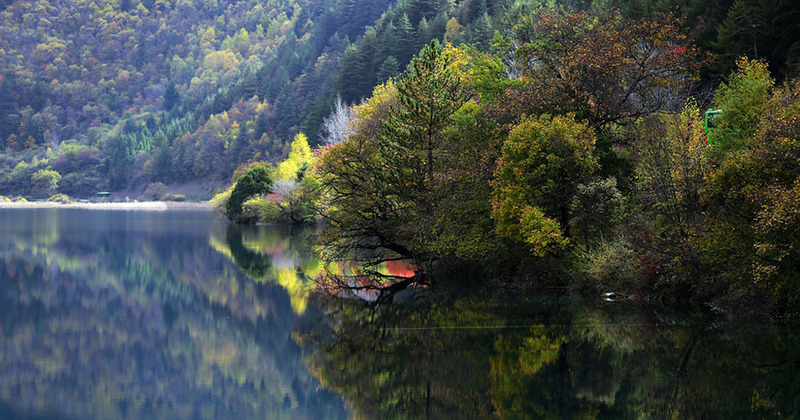 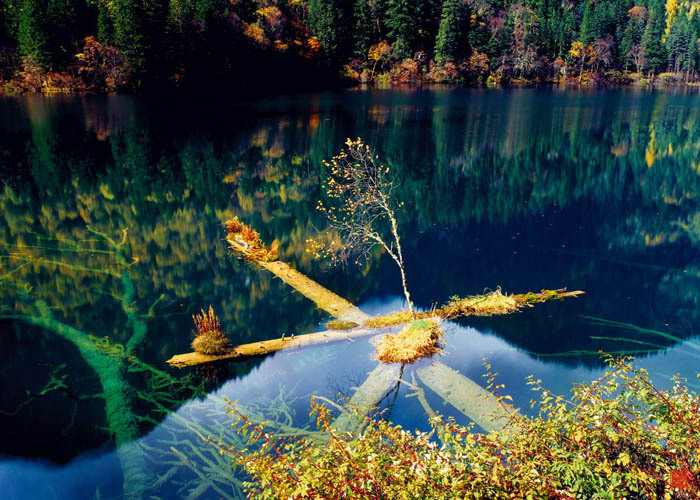 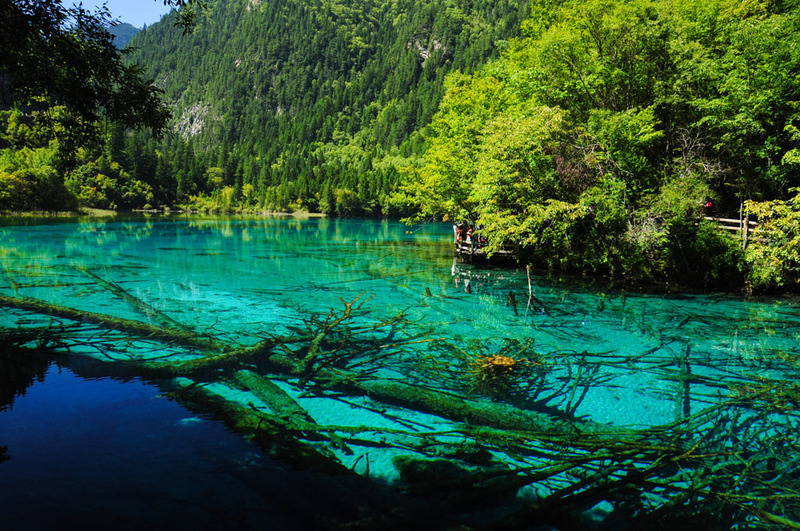 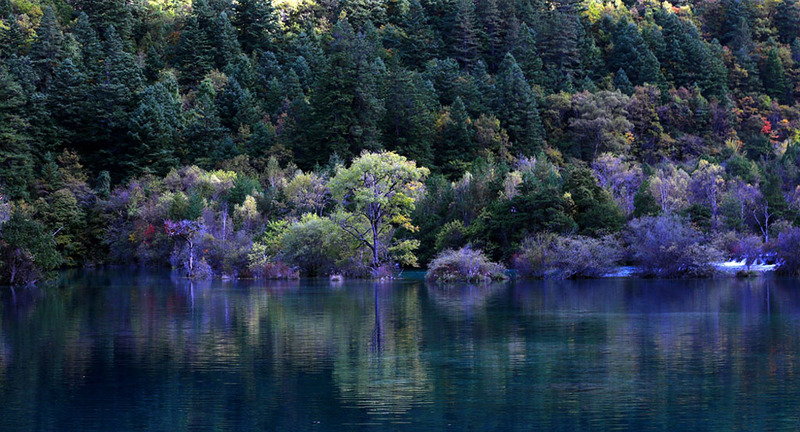 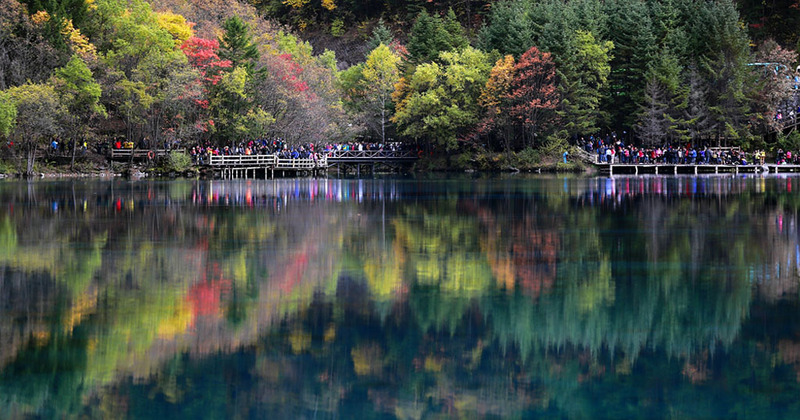 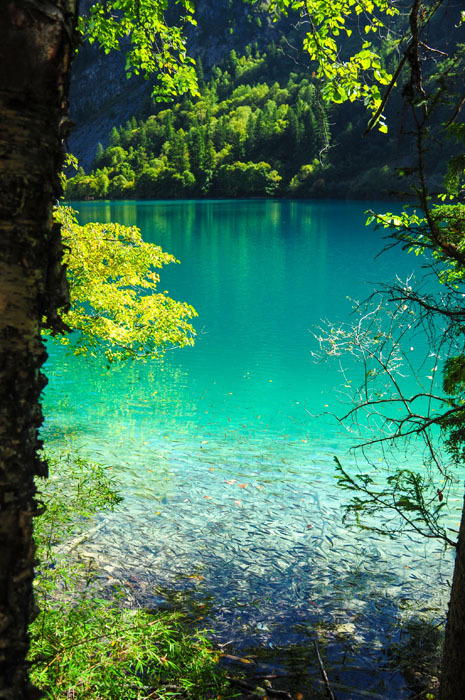 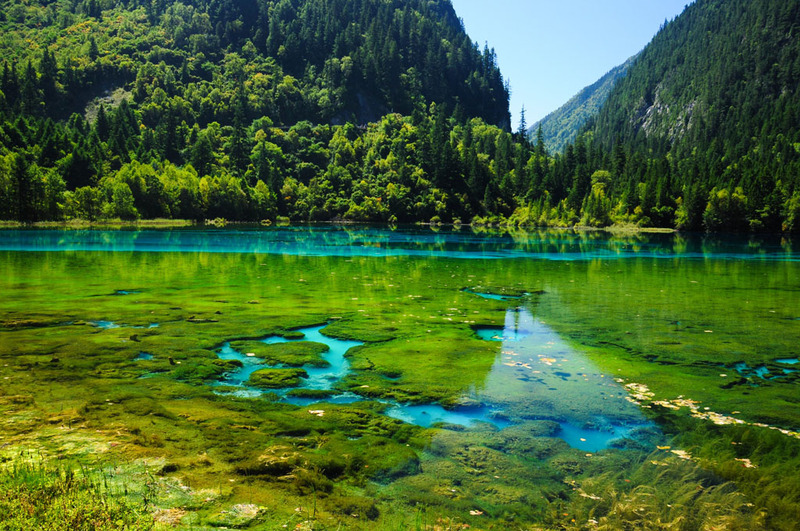 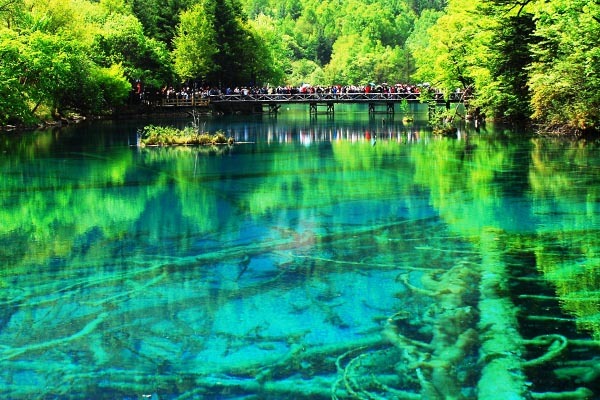 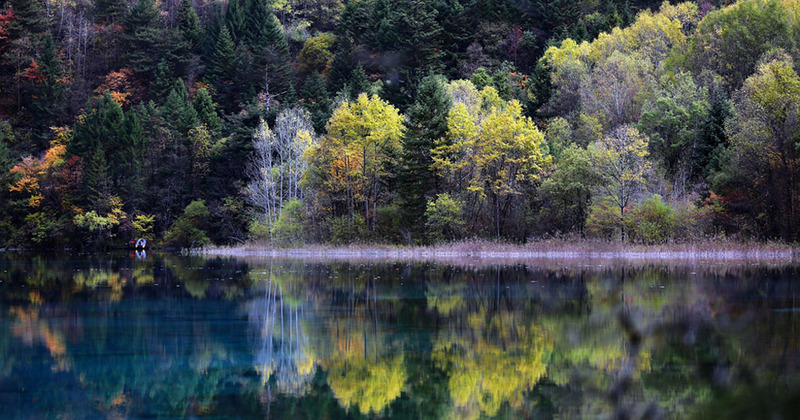 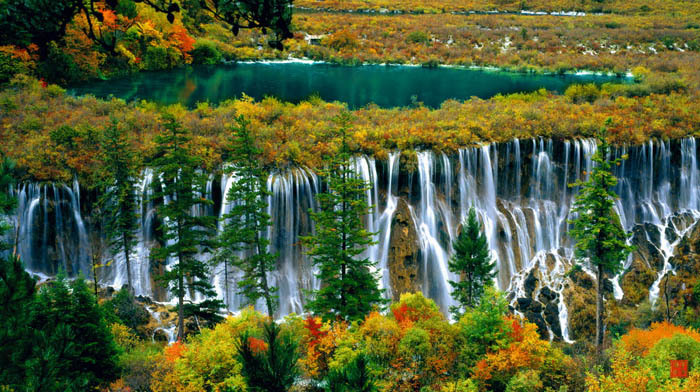 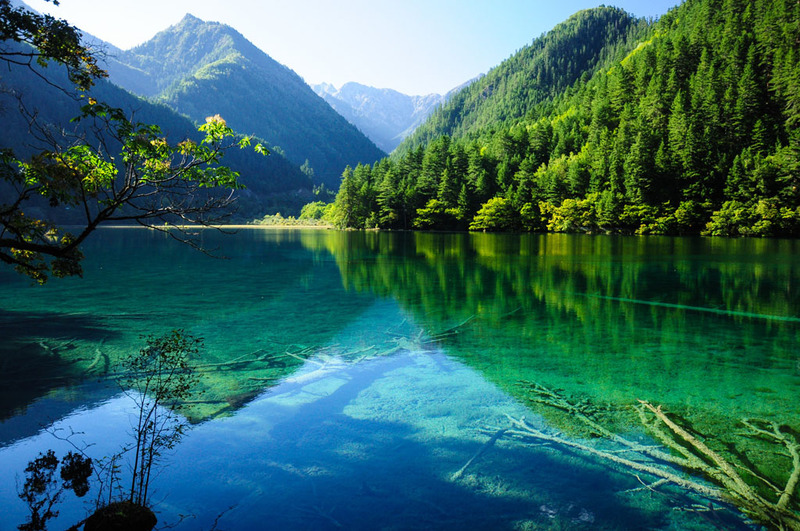 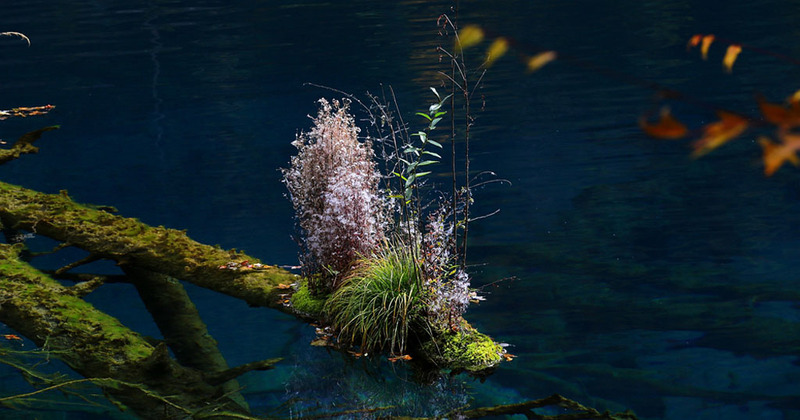 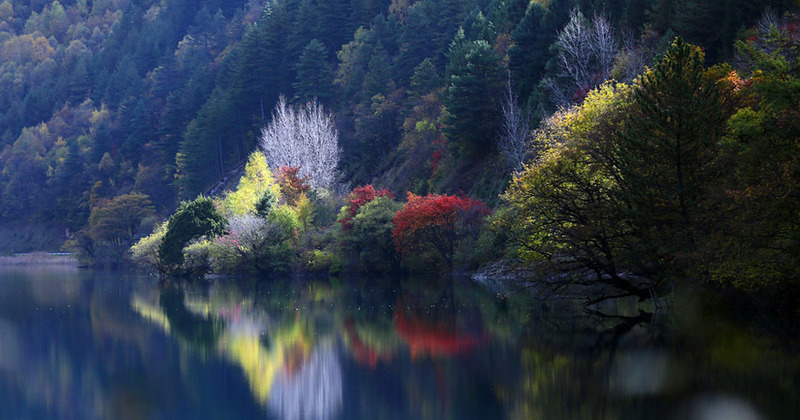 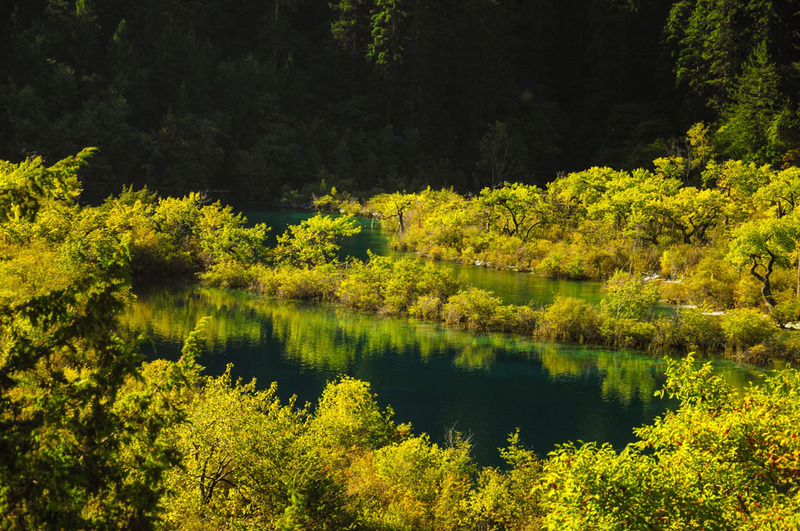 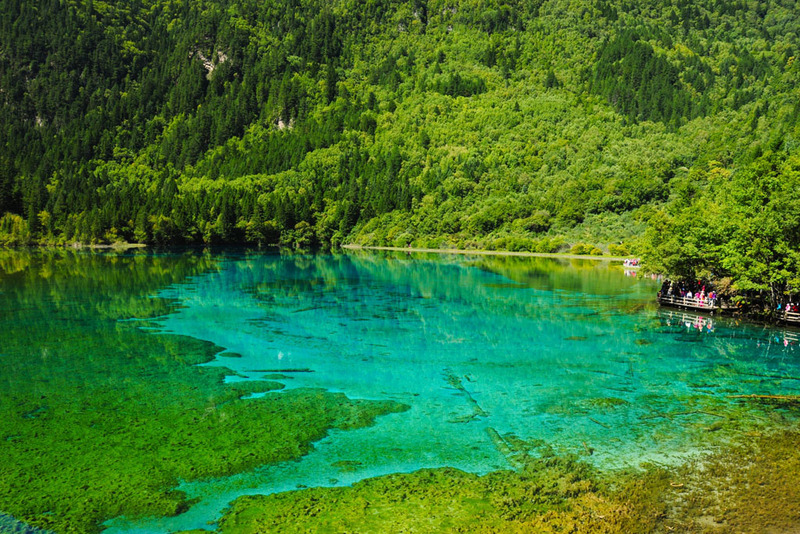 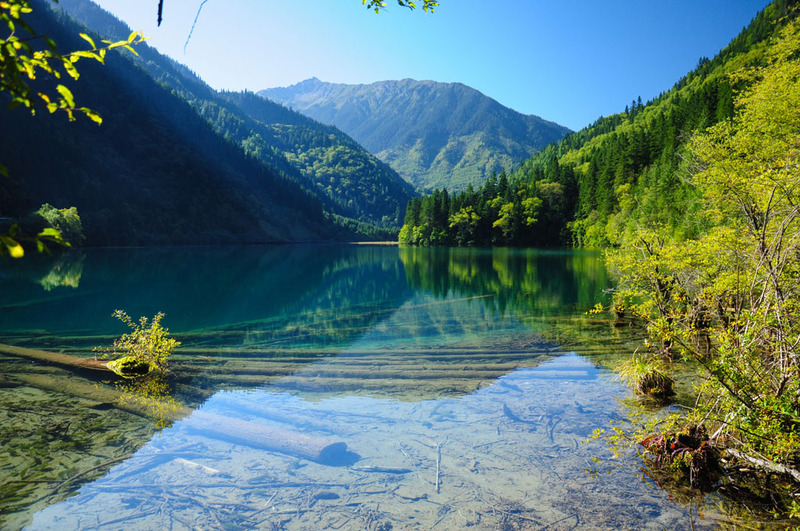 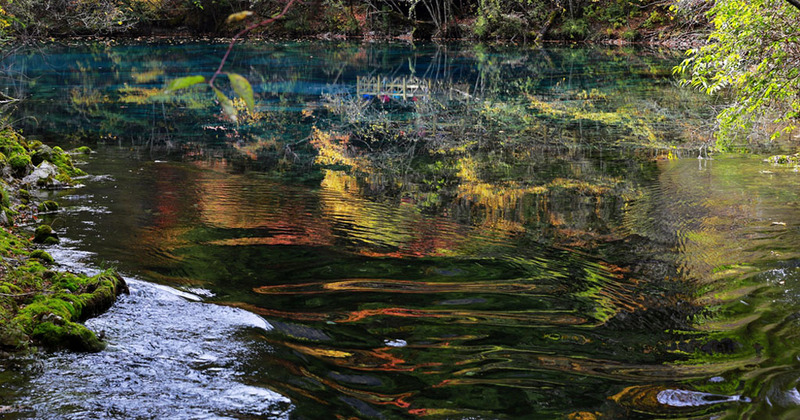 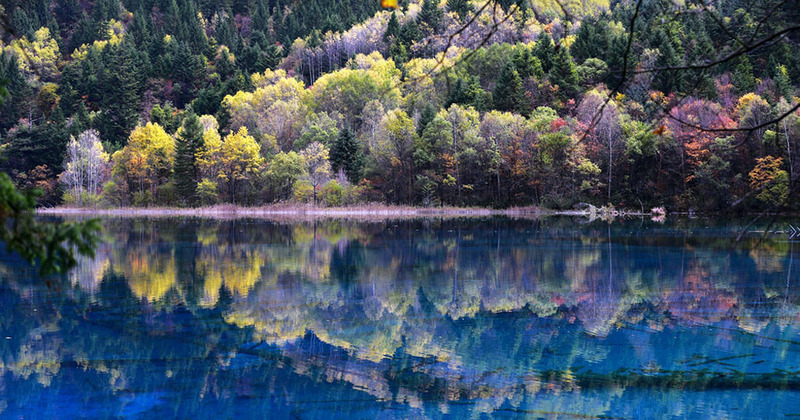 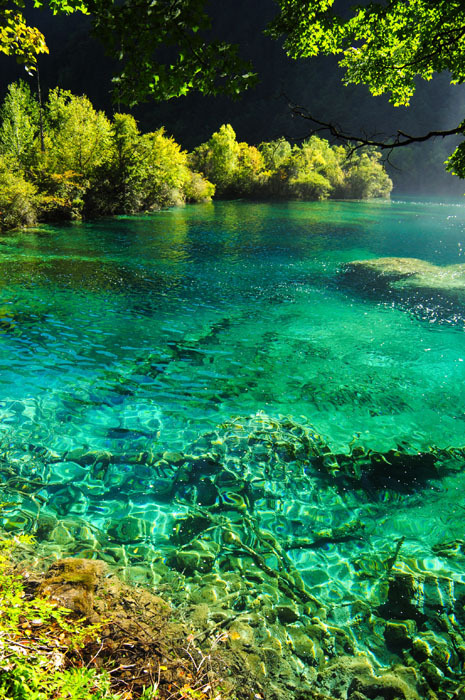 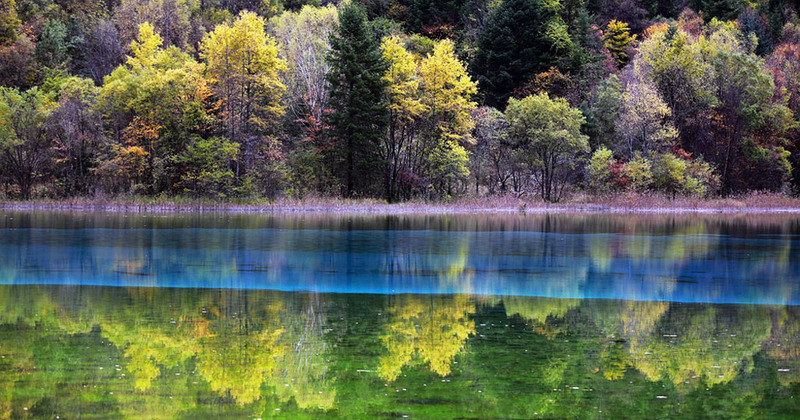 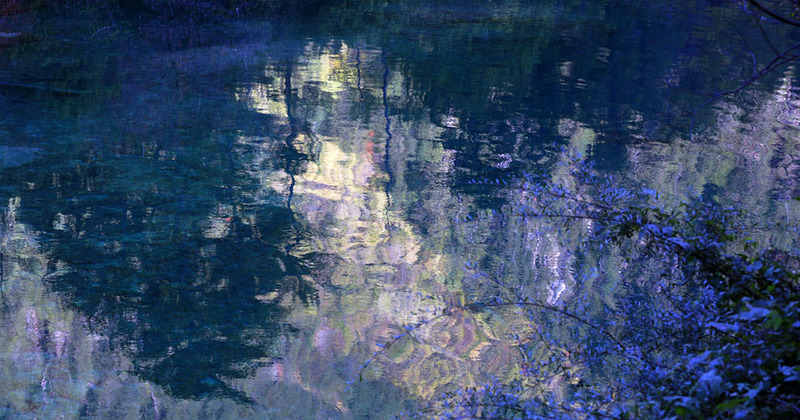 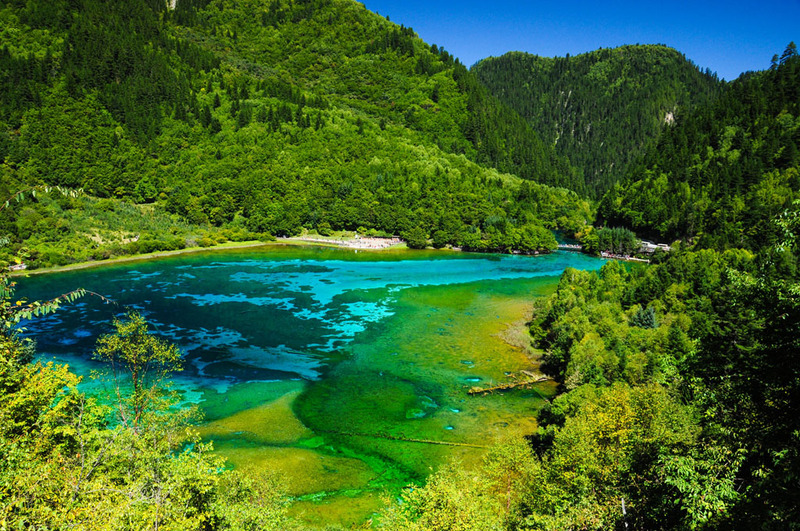 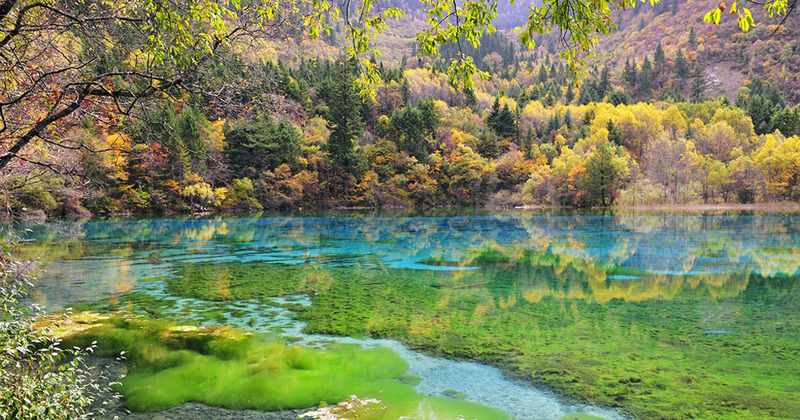 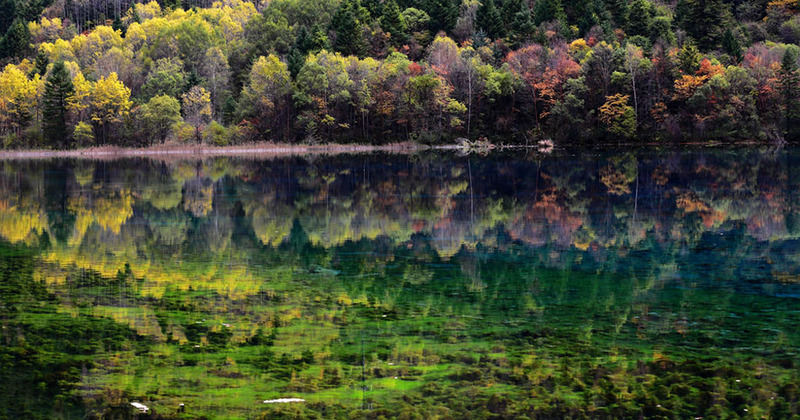 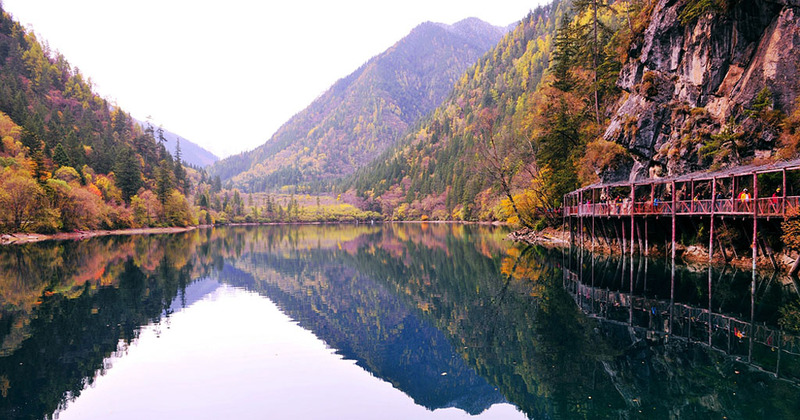 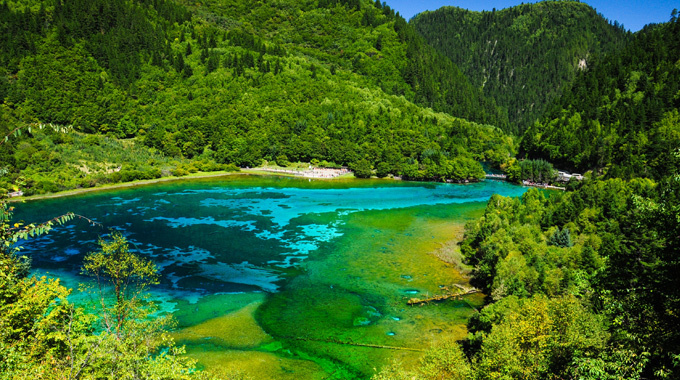 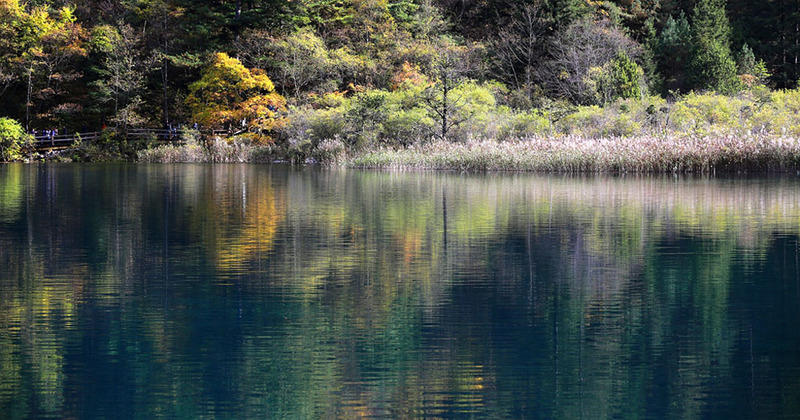 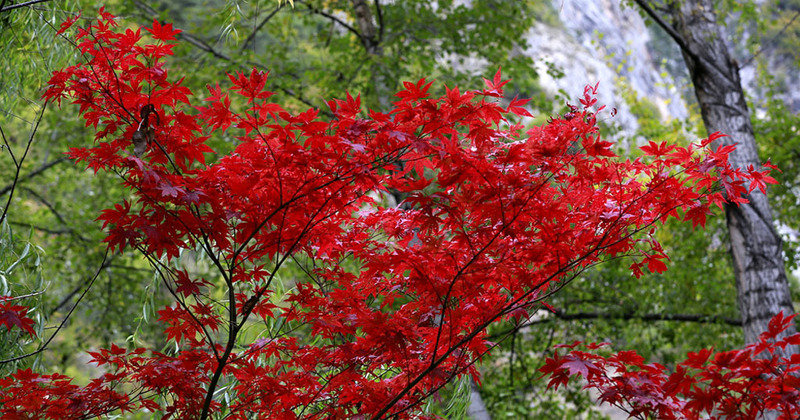 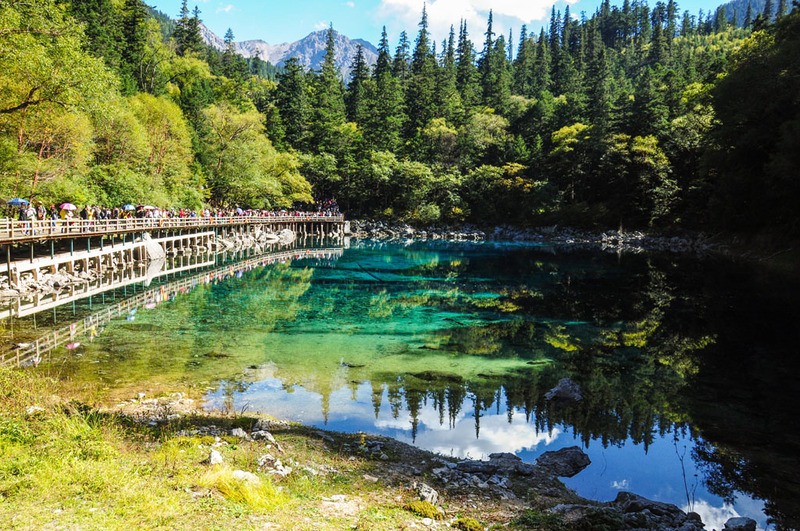 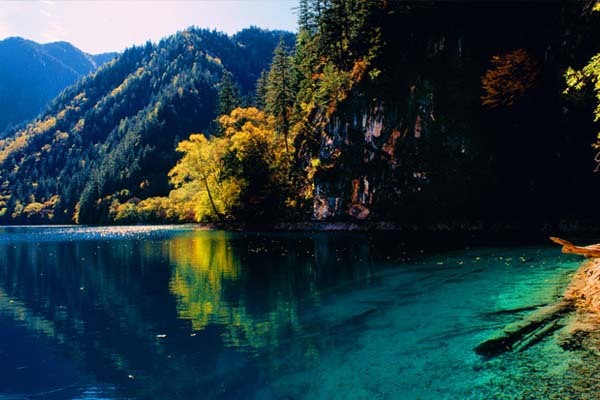 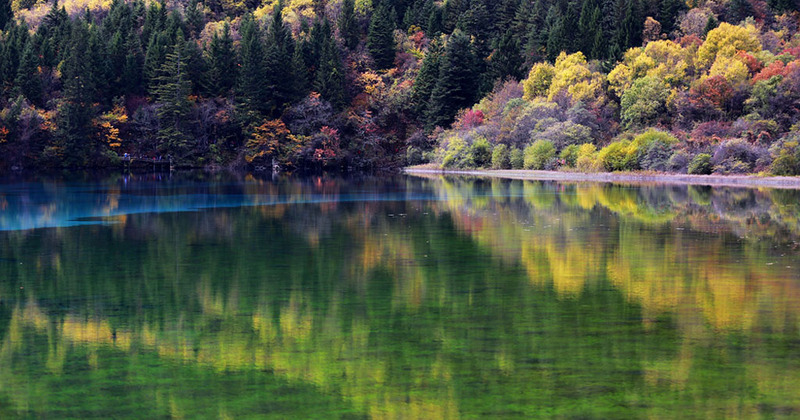 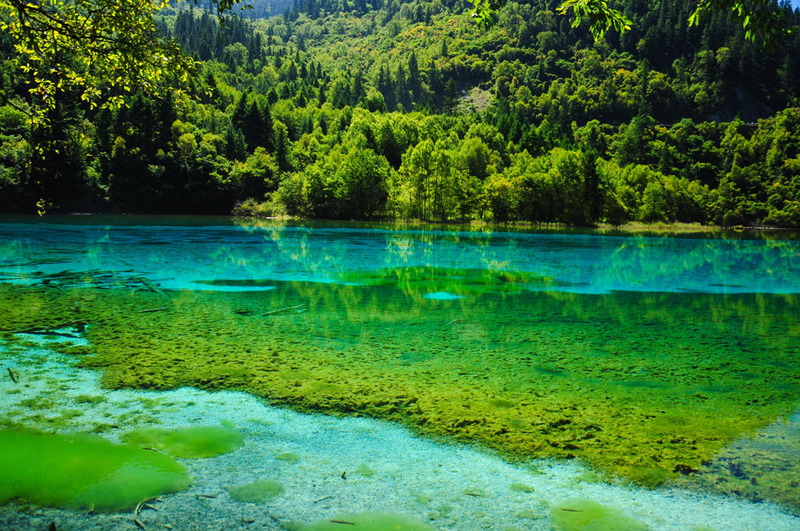 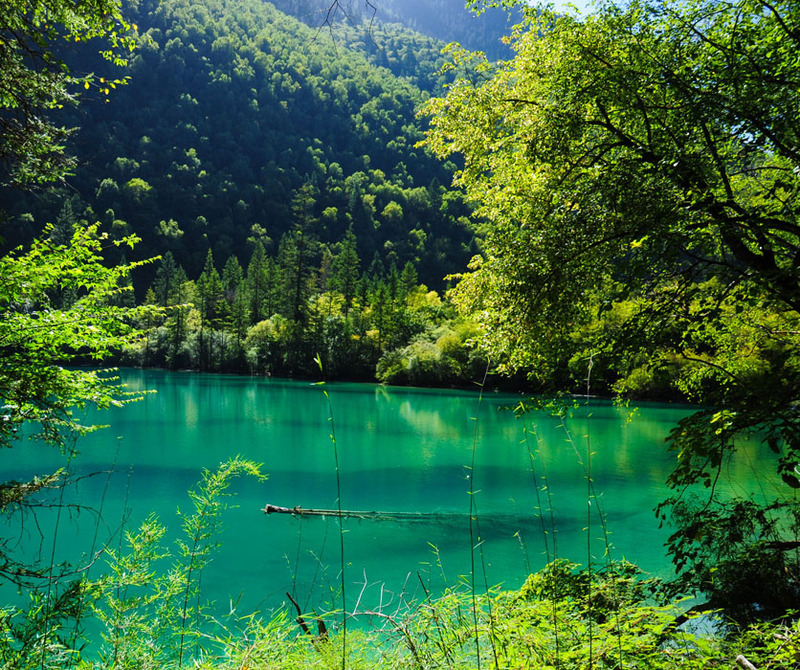 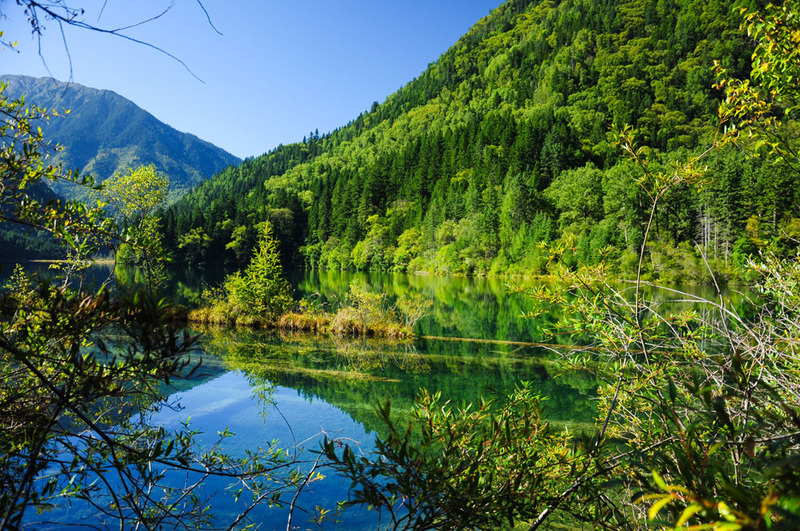 More than just spectacular scenery, Jiuzhai Valley National Park is home to nine Tibetan villages, over 220 bird species as well as a number of endangered plant and animal species, including the giant panda, Sichuan golden monkey, the Sichuan takin and numerous orchids and rhododendrons. 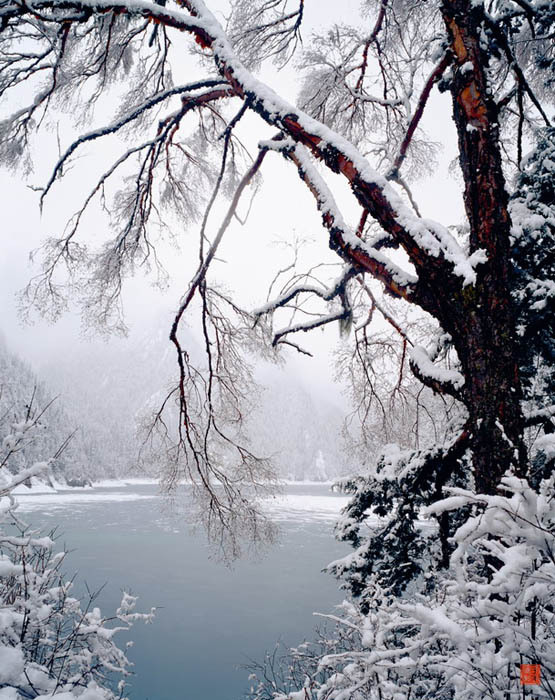 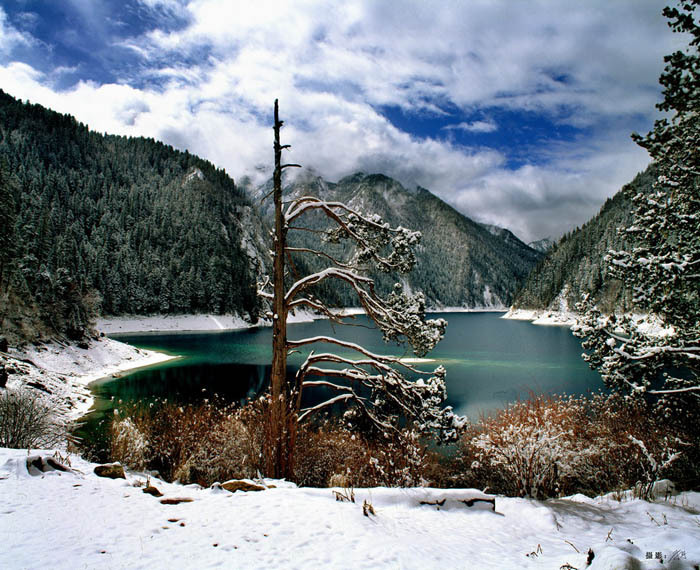 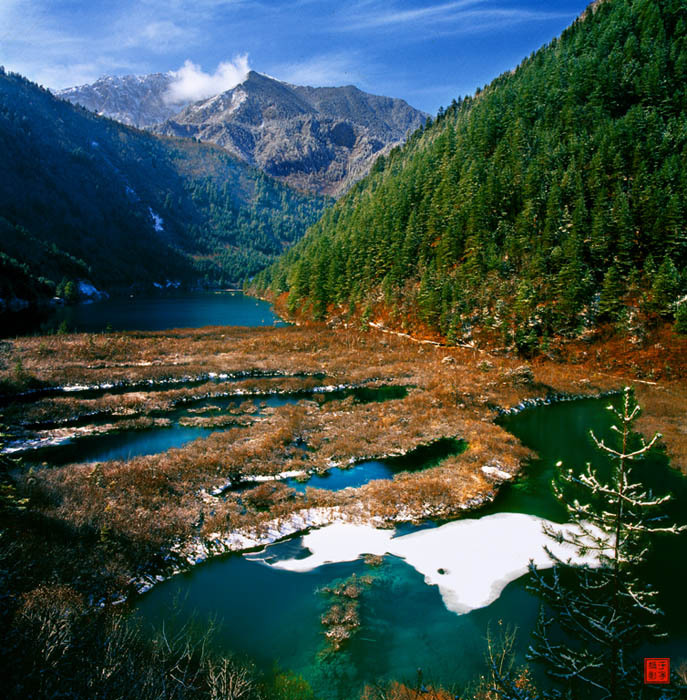 Called Dzitsa Degu in Tibetan, Jiuzhai Valley or Jiuzhaigou National Park is located in the Aba Tibetan and Qiang Autonomous Prefecture of Sichuan Province, South Western China. 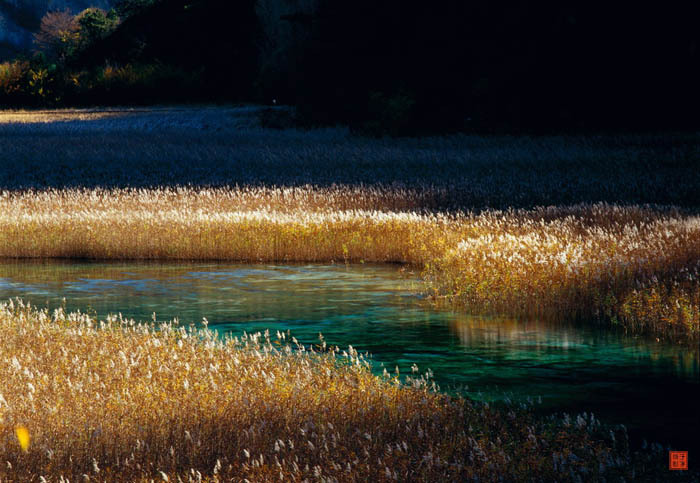 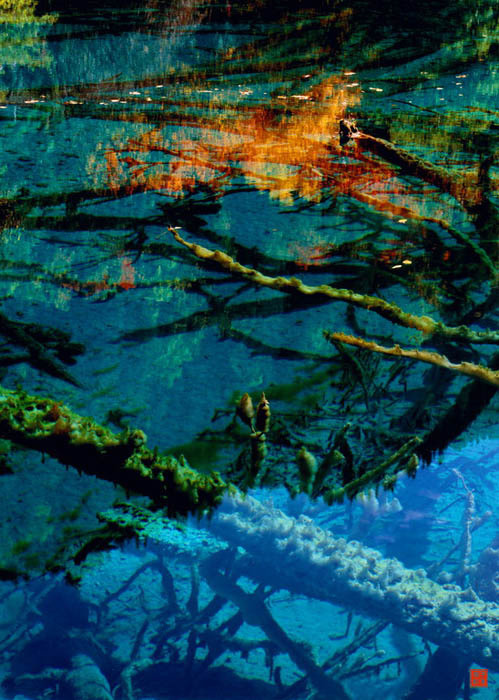 It was declared a UNESCO World Heritage Site in 1992 and it belongs to the category 5 in the IUCN system of protected area categorization. 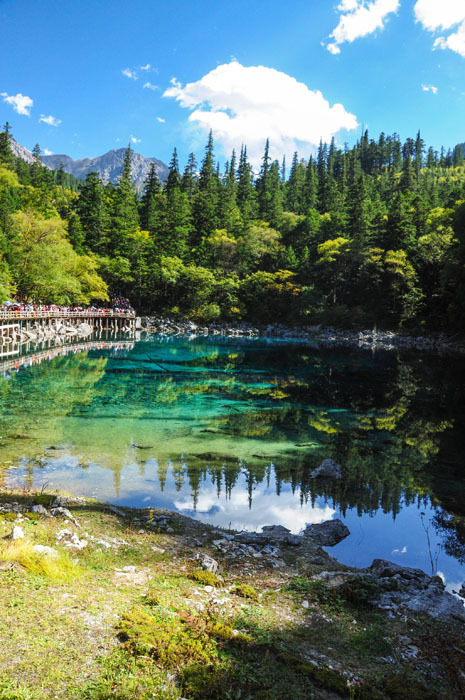 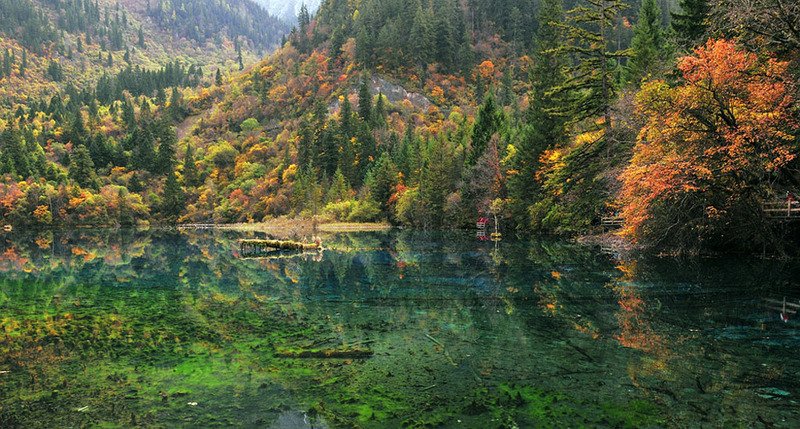 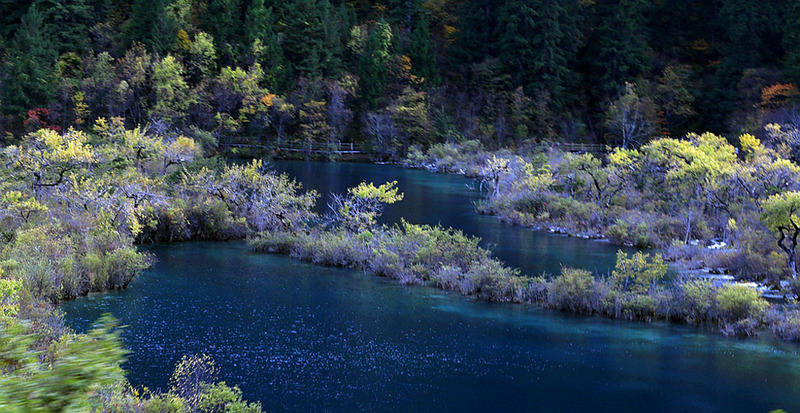 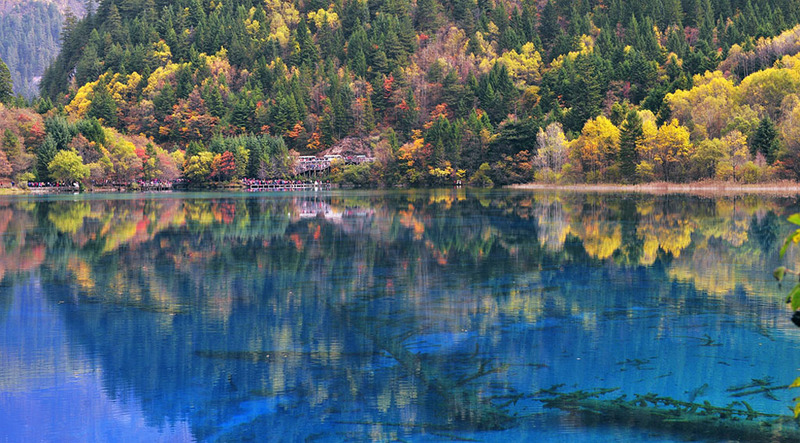 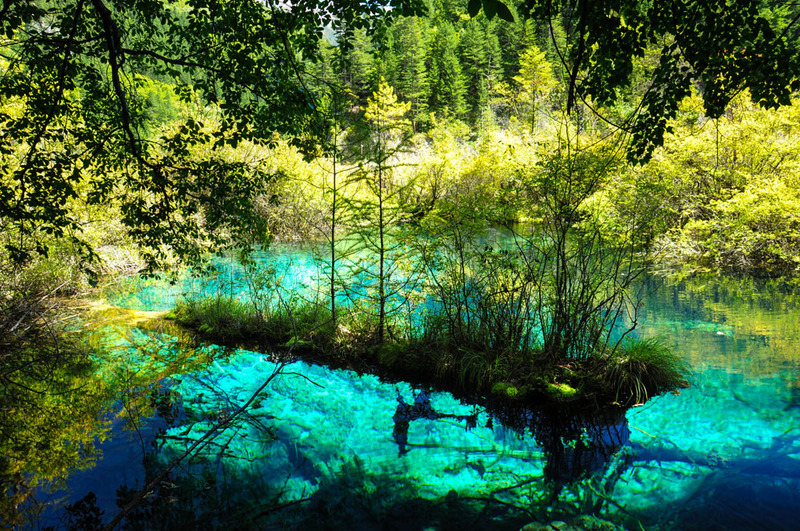 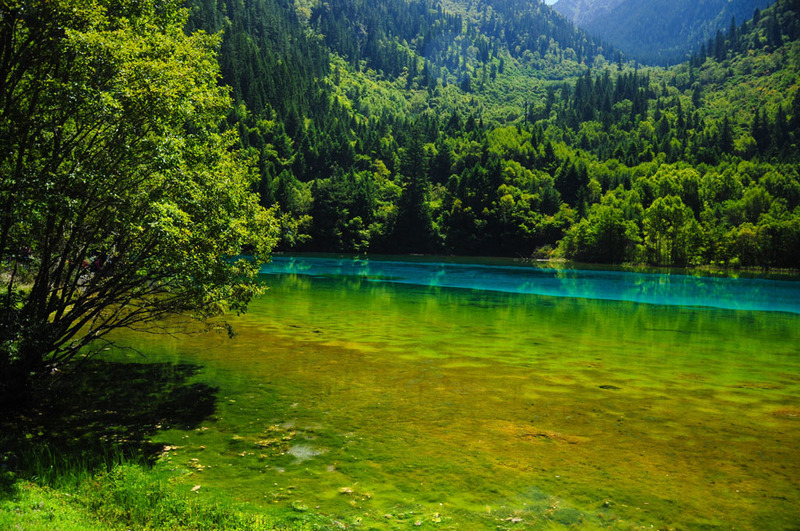 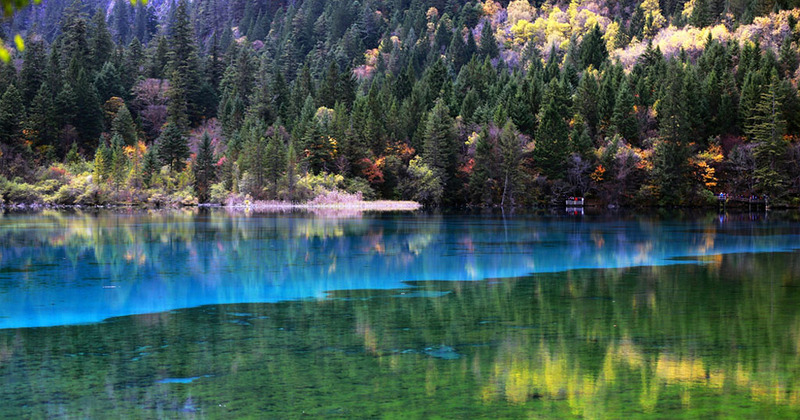 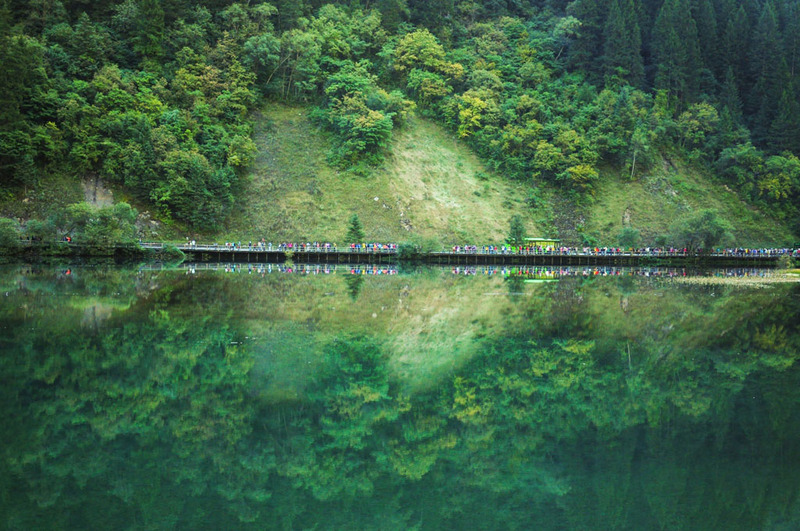 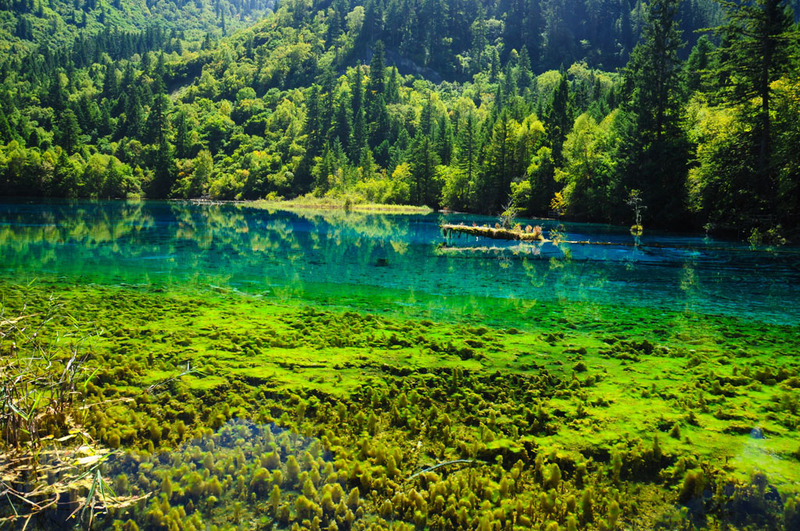 Jiuzhai Valley literally means “Nine Village Valley” and is named after the nine Tibetan villages scattered throughout the park. 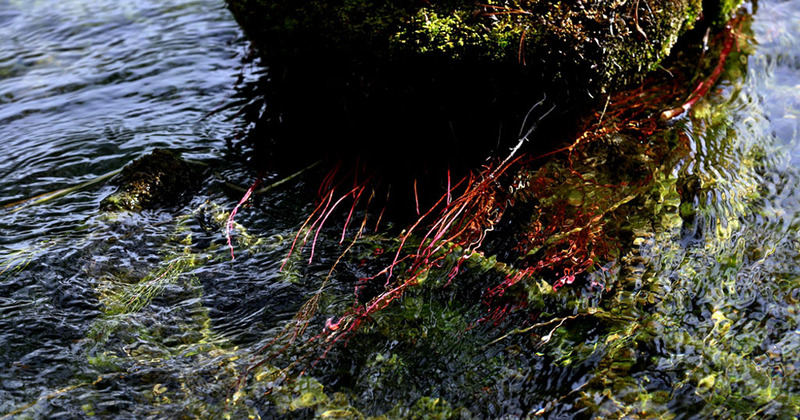 There is evidence of people living in the national park up to 3,000 years and the local people still hold onto many of their traditional ways of life. 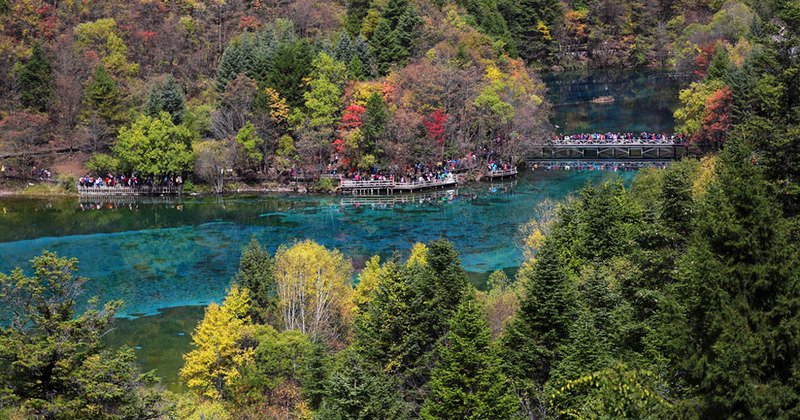 The human population of the park is just over 1,000 which comprises of over 110 families. 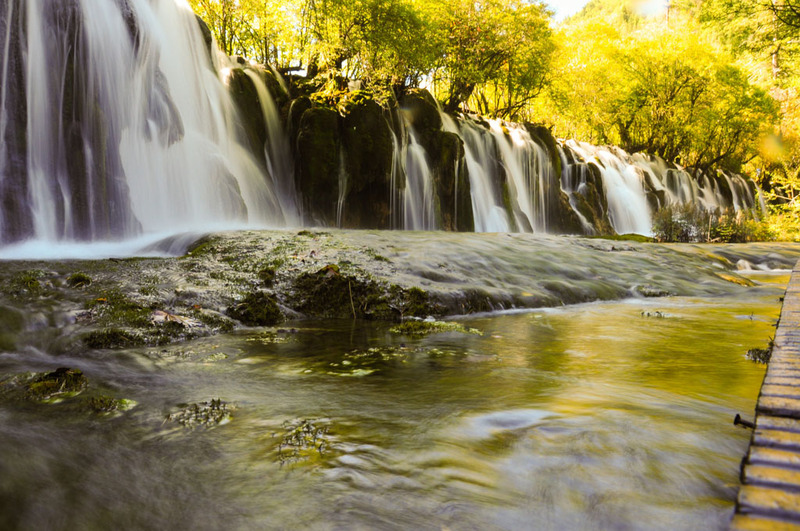 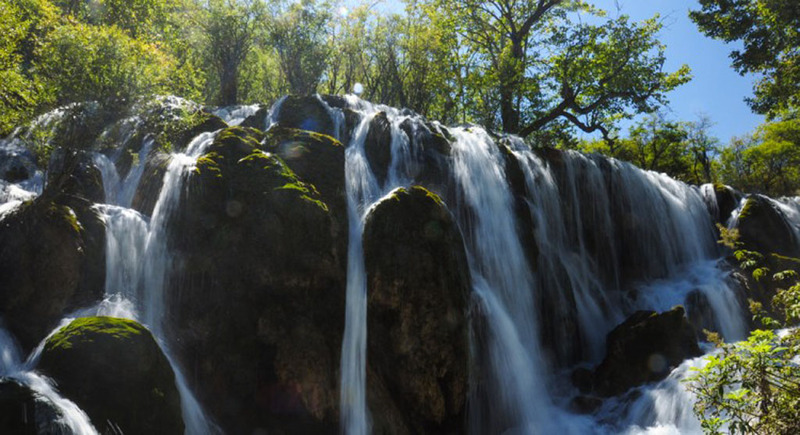 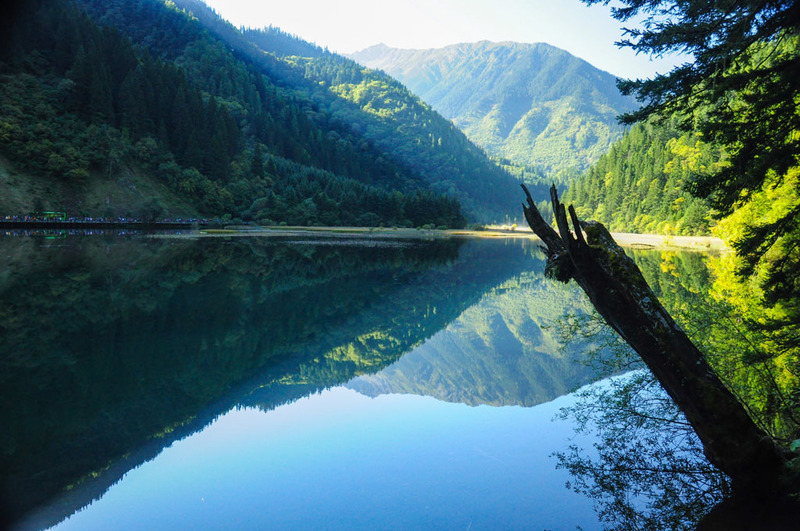 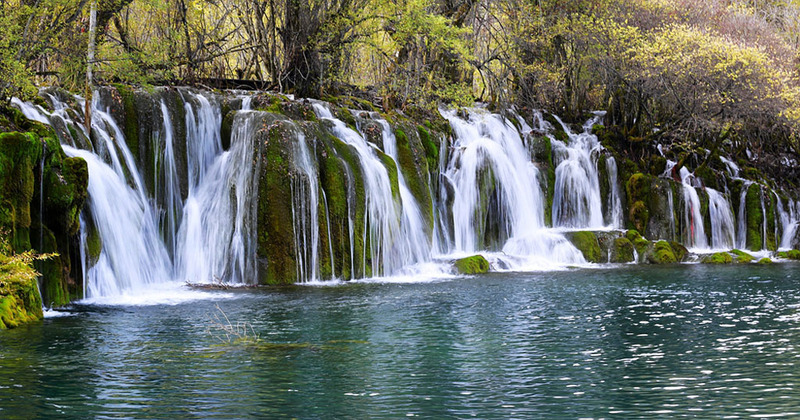 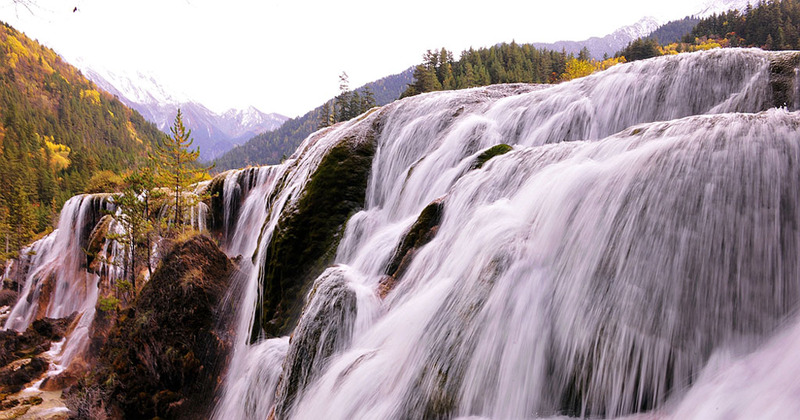 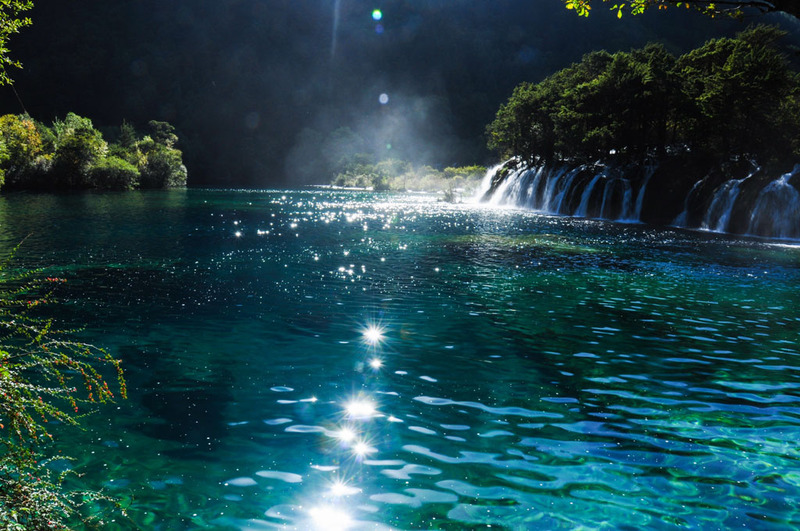 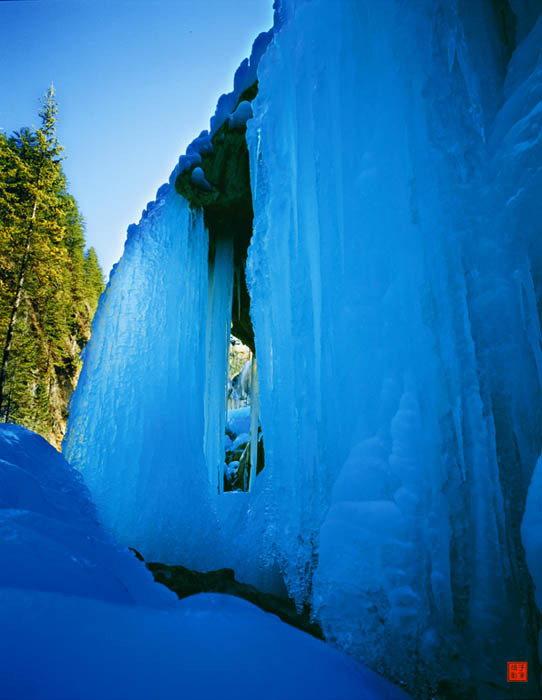 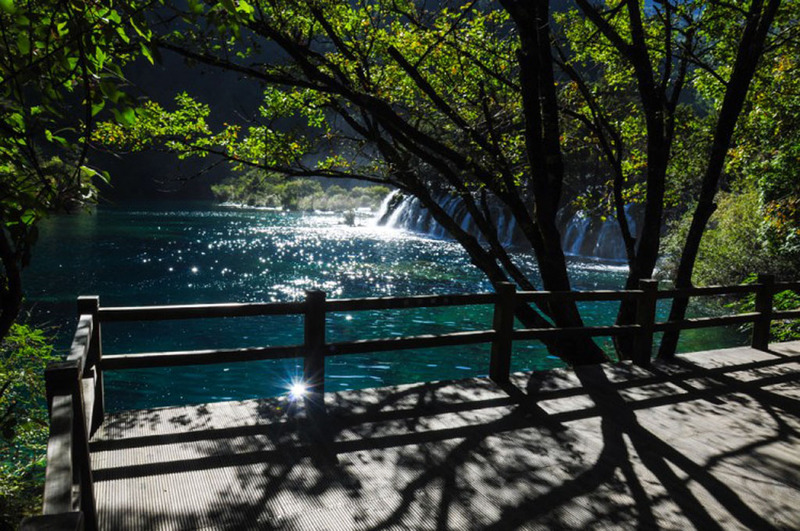 The superb landscapes of Jiuzhai Valley are particularly interesting for their narrow conic karst land forms and spectacular waterfalls and lakes. 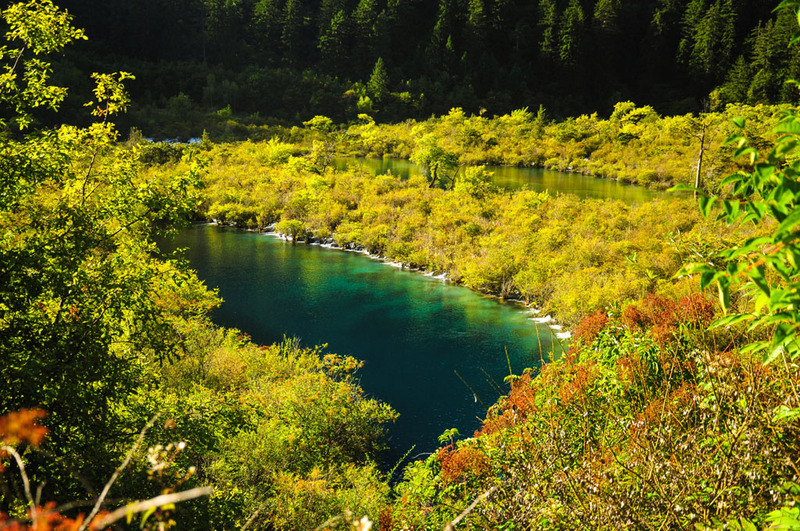 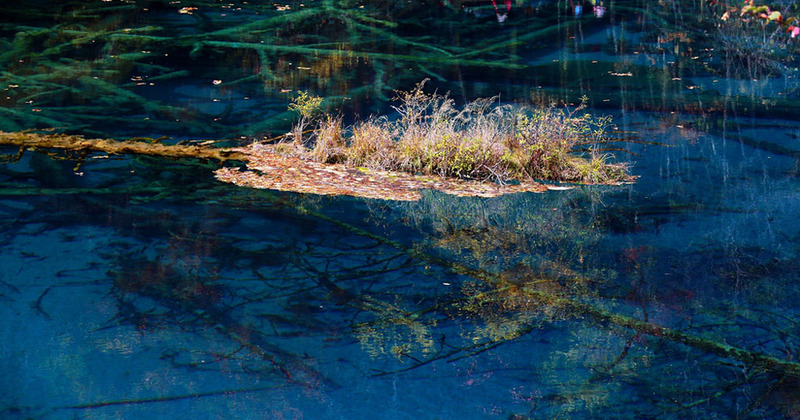 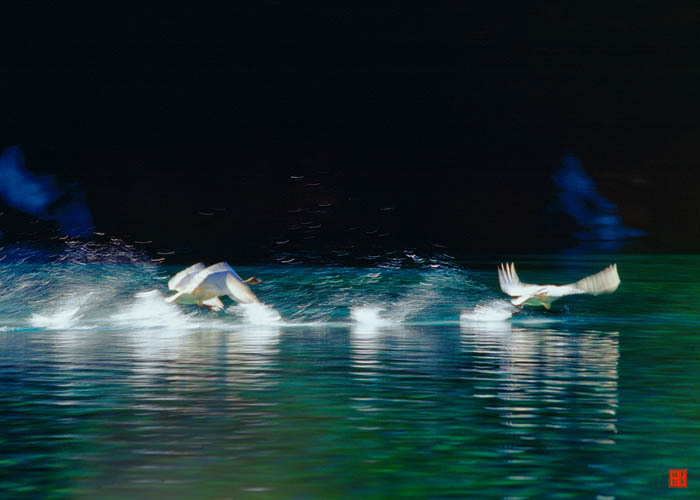 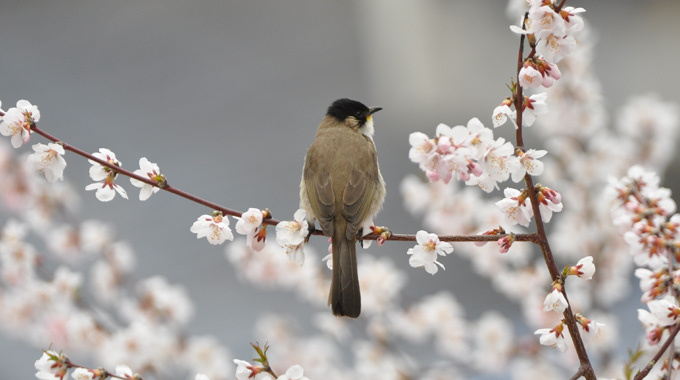 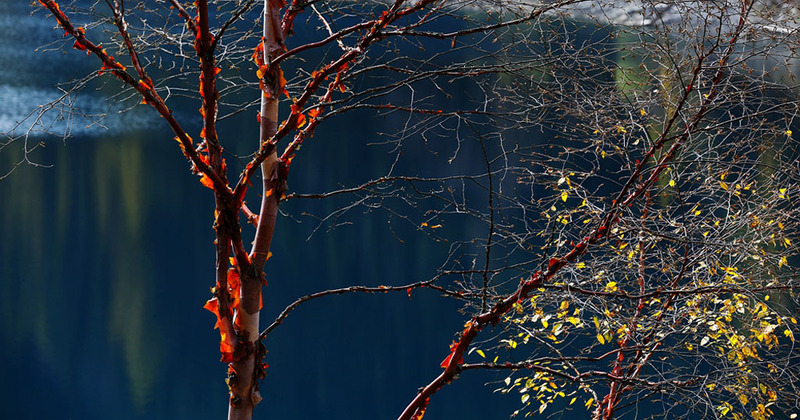 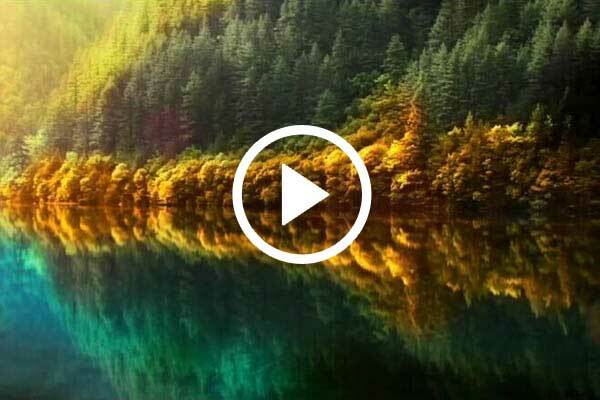 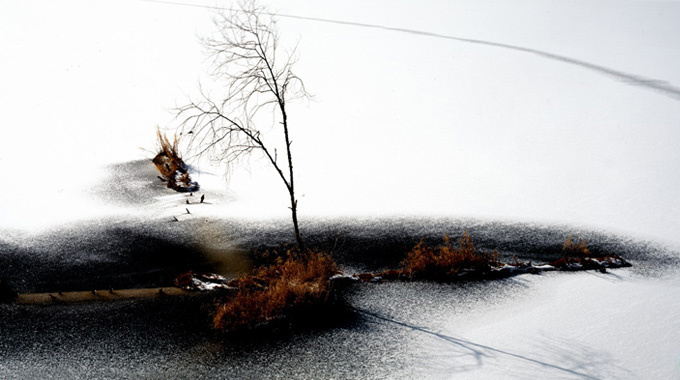 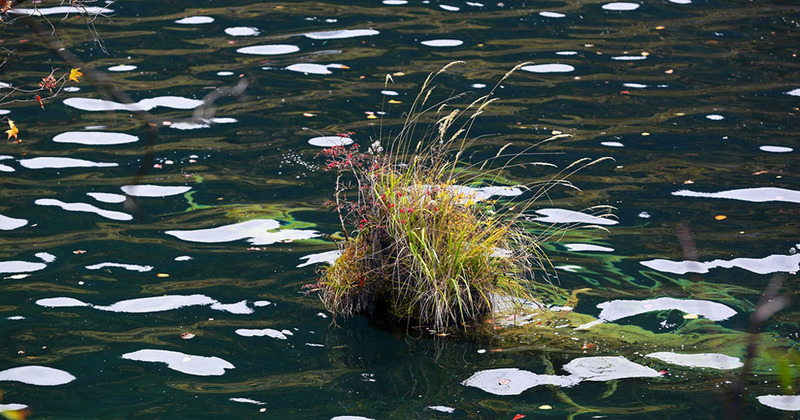 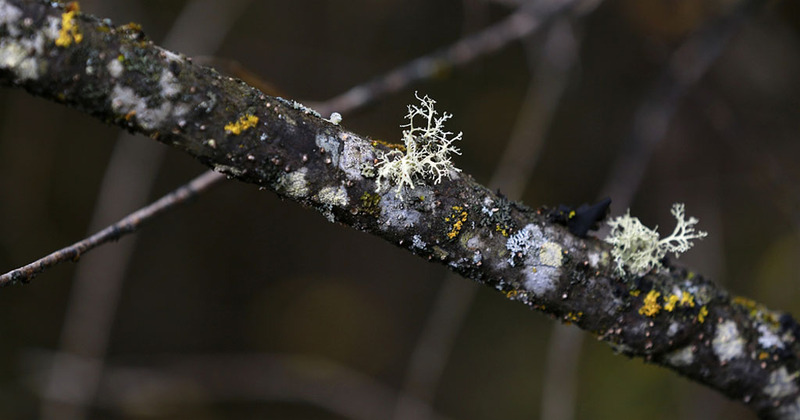 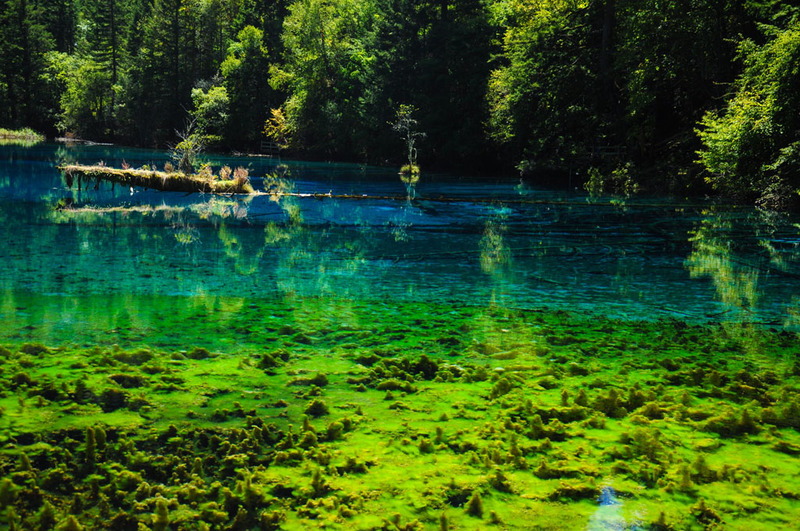 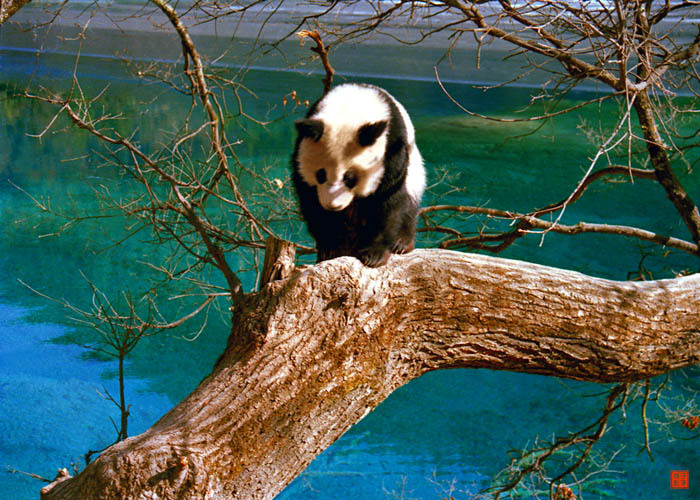 There are over 220 bird species found in Jiuzhai Valley as well as a number of endangered plant and animal species, including the giant panda, Sichuan golden monkey and the Sichuan takin. 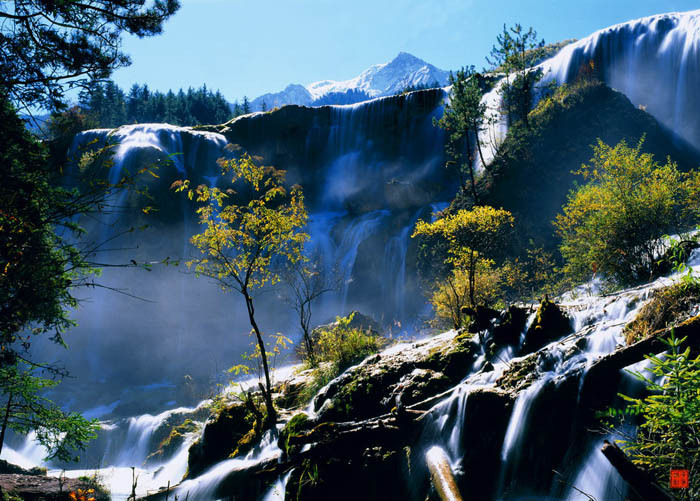 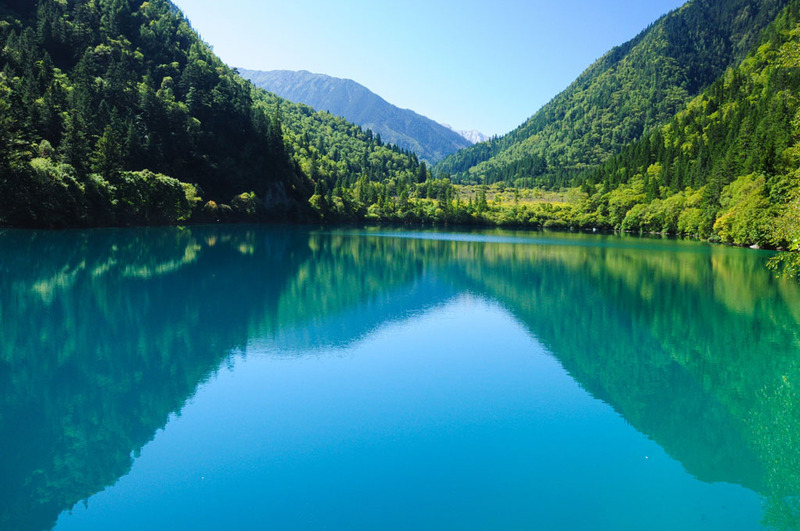 Jiuzhai Valley is part of the Min Shan mountain range on the edge of the Tibetan Himalayan Pletau and stretches over 720 sq km (72,000 hectares) with an extra buffer zone of 598 sq. 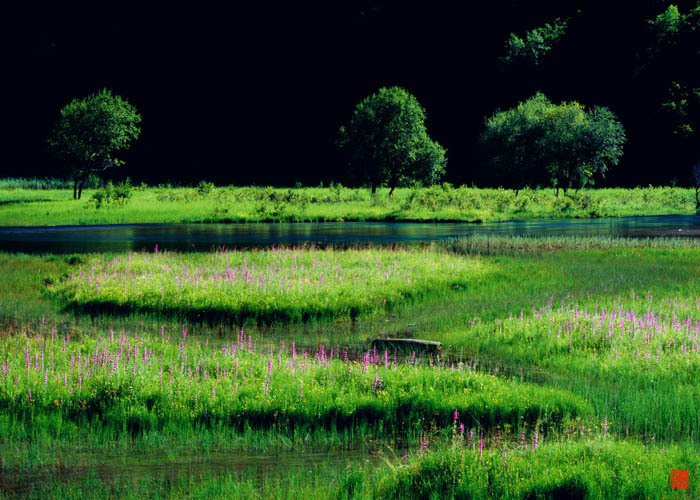 km (60,000 hectares). 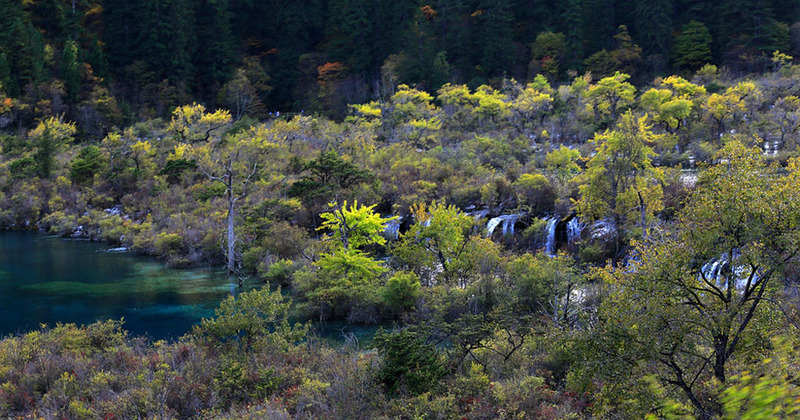 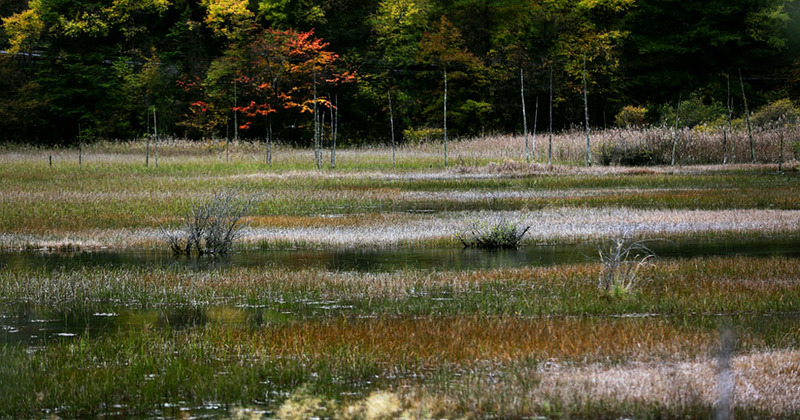 The Min Mountains are one of South West China’s most important biodiversity typezones. 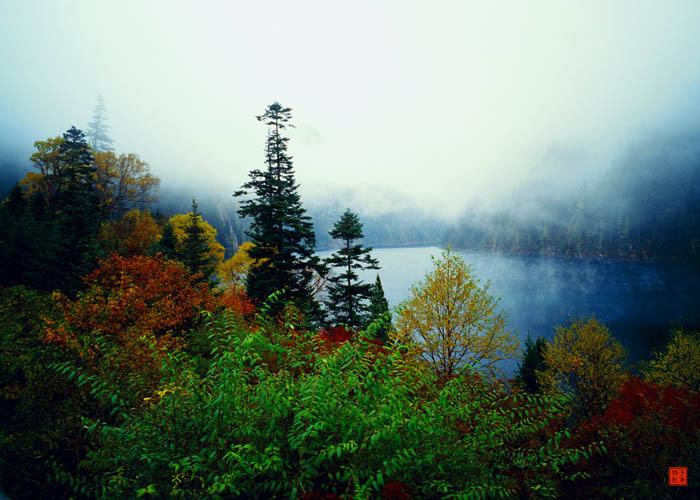 The elevation of the national park ranges from almost 2,000m (6,500 feet) at the entrance to over 4,500m (14,760 feet) on the mountain peaks and the series of forest ecosystems are stratified by elevation.